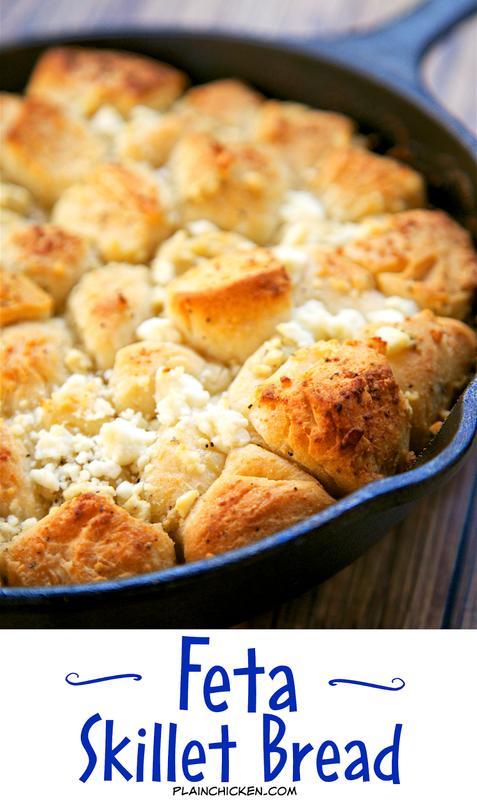 Feta Skillet Bread - only 4 ingredients! Ready in 15 minutes. Can be a side dish or serve as an appetizer with some warm marinara. It is SO good! We could not stop eating this! 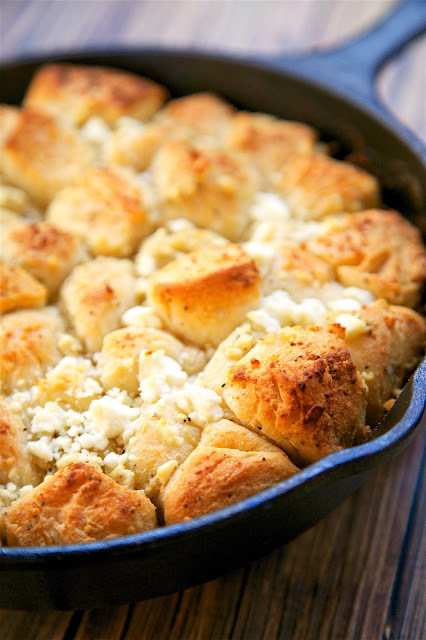 I am officially obsessed with this Feta Skillet Bread. We made it to go with some soup the other day, and neither of us could stop eating it. It was SO good! We served this bread as a side, but it would also be good served with some warm marinara sauce as an appetizer. The best part about this recipe is that it only has 4 ingredients! SO simple and SOOO delicious! 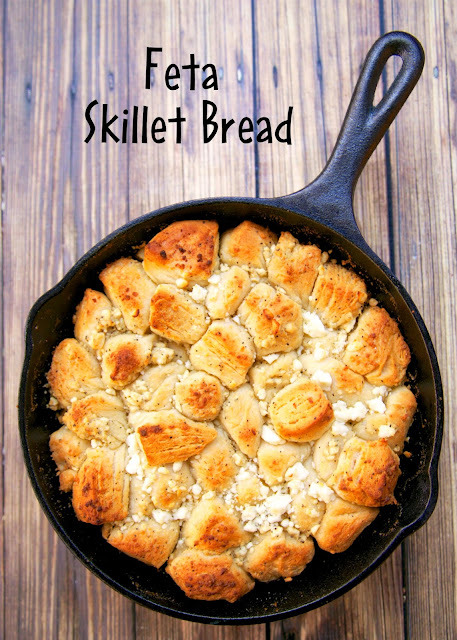 This bread is baked in an 8-inch cast iron skillet. If you don't have an iron skillet, you can use an 8-inch cake pan or double the recipe in a 9x13-inch pan. Melt butter in 8-inch cast iron skillet. Add Greek seasoning and feta cheese. Cut biscuits into quarters and toss in saute pan. I make two different versions of this, one with garlic, Italian seasoning and grated Parm, the other with cinnamon and sugar. I love this Greek twist on it! Thanks for sharing! How do you make it with the cinnamon and sugar? Cavender's makes an excellent Greek Seasoning. I have purchased at Wal-Mart & Publix.